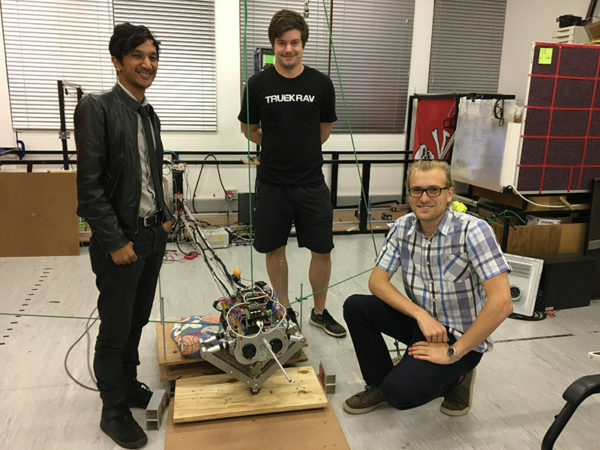 A team of UCT students from the university’s Department of Electrical Engineering and their professor have designed and built Africa’s first ever two-legged robot – and it jumps. Named Baleka, a Zulu word that translates to “sprint”, the robot is an innovative step for the department and offers insight into further understanding movement not only in robotics but also in other fields, such as sports sciences. Dr Amir Patel explains that his team, which includes PhD student Callen Fisher and masters student Alexander Blom, is paving the way for robotics in Africa. “There is so much being done in robotics that can inspire future researchers, but much of it focuses on steady-state or constant-velocity motion. The new frontier is transient, rapid movement – and we are one of the first groups looking at that,” he says. Robots which are capable of transient motion can gain speed quickly, navigate objects and come to a stop could be sent on dangerous search-and-rescue missions, where they could safely evade falling rubble, for example. Fisher says there has been a lack of focus on understanding how two- and four-legged robots pick up speed and slow down. “In the robotics community, these motions are largely ignored due to their complexity,” he says. Instead, most robotics companies or researchers focus on constant speed and energy efficiency. Fisher adds that their team is developing novel controllers and platforms for Baleka. The design of Baleka was created by Blom to function as a platform capable of testing controllers for agile movement. It took two years of intense work, with at least one year focused on design and optimisation. Through the use of trajectory optimisation, Blom was able to find the best structure for the robot that would meet the required purpose. This meant that a new and unique algorithm was written with defined parameters for speeding up and stopping. 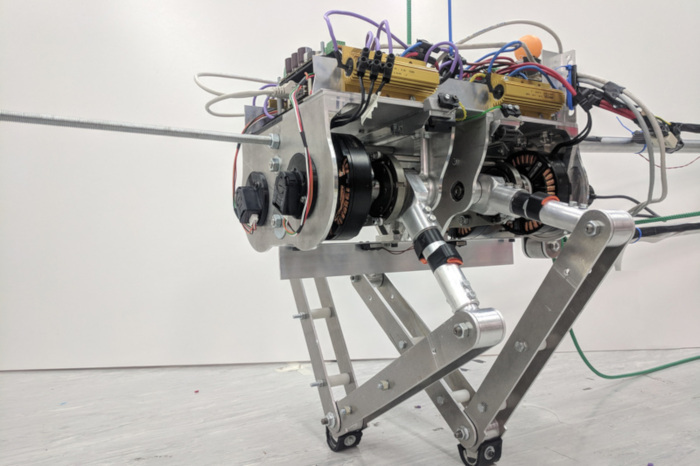 “By testing acceleration and deceleration motions, and trying out different leg lengths and gear ratios, we could identify what we needed to build,” he says. After the design and optimisation was established, the team had to develop an operating system for the robot along with sensors, electronics and a kill switch. “If anything goes wrong, we need to be able to shut it down immediately,” says Blom. Recognised for their innovation and skills, Blom was invited to attend the Electrical and Electronics Engineers (IEE) 2018 International Conference on Robotics and Automation held in Brisbane, Australia. University of Cape Town. The team: Dr Amir Patel (left) with Callen Fisher and Alexander Blom. The clip below showcases the robot’s ability to jump on its two ‘legs’. Designing and creating a jumping two-legged robot is only a drop in the ocean for this UCT research team. They will be using the work from creating Baleka to develop a four-legged robot to test and find out how the spine is used in transient motion. “Alex has designed a leg that can handle a range of motion with a spine attached to it. Now we’re going to build on that to identify the optimal spine to support rapid acceleration and deceleration,” says Fisher. 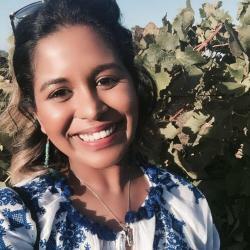 Another PhD student on Patel’s team, Stacey Shield, will be using Baleka to further test how arms affect motion. Shield will focus on the role of arms in stopping and how arms can assist with acceleration. Picture: University of Cape Town, Baleka the robot.